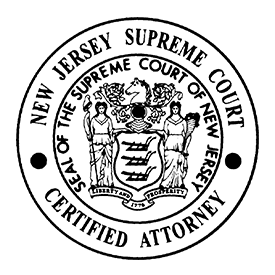 Certified By The Supreme Court of New Jersey as a Civil Trial Attorney. For the past 25 years, Mr. McKeon has served as National Coordinating Counsel to Human Services Programs. As such, he has extensive experience in the fields of developmental disabilities, mental health, behavioral health and social services / foster care. He has managed high exposure litigation in 40 States, inclusive of training claims professionals, recruiting and monitoring panel counsel, and working closely with forensic experts. Beyond participating in a number of jury trials, he has conducted hundreds of arbitrations and mediations on behalf of service providers. Concurrent with his legal career, Mr. McKeon served six years on the Township Council prior to being elected Mayor of the Township of West Orange, a position he held for 3 consecutive terms from 1998 through 2010. Contemporaneously, Mr. McKeon was elected to the New Jersey State Assembly and has represented the 27th Legislative District continuously since 2001. In addition to having served as Legislative Counsel to former New Jersey Governor, Richard J. Codey, Mr. McKeon is a past chairperson of the Judiciary Committee and Environment & Solid Waste Committee. He currently serves as chairperson of the Financial Institutions and Insurance Committee. Seton Hall University School of Law, Newark, New Jersey, 1983, J.D. Muhlenberg College, Allentown, Pennsylvania, 1980, B.A.